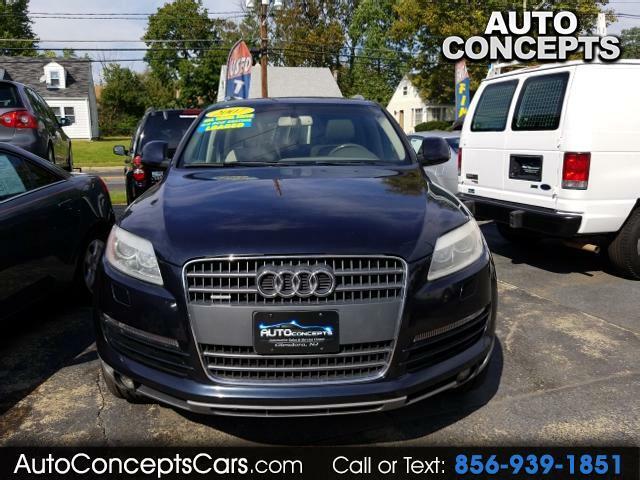 CHECK OUT THIS SUPER CLEAN 2007 AUDI Q7 QUATTRO PREMIUM AWD. IT`S LOADED WITH ALL THE OPTIONS. HEATED SEATS NAVIGATION SKY ROOF 4 ZONE AC FRONT AND REAR CAMERAS REAR BUCKET SEATS POWER REAR TAILGATE AND NEW TIRES VERY RARE VEHICLE ! FINANCING IS AVAILABLE IF NEEDED ! CALL AND ASK FOR MICHAEL OR PETE.